More than 50 divers collected 312 Indo-Pacific red lionfish Nov. 5 during the final 2011 diver derby to reduce the population of the invasive species in the Florida Keys National Marine Sanctuary. The Lower Keys Lionfish Derby attracted 14 teams that competed for cash and prizes to collect the most, largest and smallest lionfish. The action was headquartered at Stock Island’s Hurricane Hole Restaurant & Marina at mile marker 4.5. The group Bottle Buddies won the top $1,000 prize by capturing 110 lionfish. 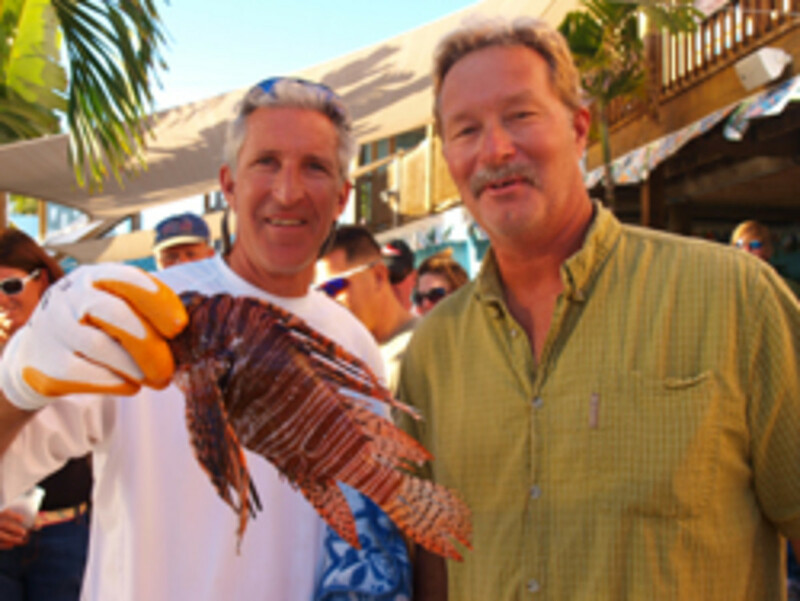 The team, consisting of Bob Elkins and Bob Cerkleski of Key West, also caught the derby’s largest lionfish. It measured 13.54 inches and earned the team an additional $500 prize. Team Austin Assassins earned $500 for bringing in the smallest lionfish, measuring 3.15 inches. Teammates Curtis Mueller, Harris Casey, David Price and Matt Magnum all hail from Austin, Texas. The venomous Indo-Pacific red lionfish, whose Atlantic Ocean presence probably began in the 1980s when people carelessly released the popular aquarium fish, is considered an invasive species with no natural reef predators except man. Its rapidly growing populations steal space and food resources from domestic species like grouper and snapper. 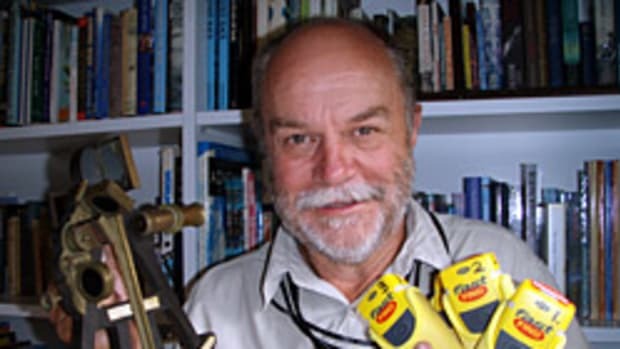 The Lower Keys Lionfish Derby is one of an ongoing series of dive events designed to control the population of non-native lionfish in Florida Keys waters. The derbies are hosted by the Reef Environmental Education Foundation and the Florida Keys National Marine Sanctuary.